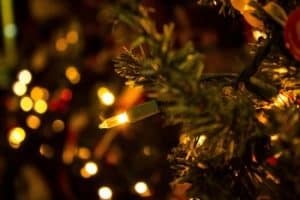 While the peak shopping season used to be defined as the time between Thanksgiving and Christmas Eve, the “Christmas Creep” now begins shortly after Halloween, if not before. During this critical time of year, every possible step that we can take to ensure a successful season must be planned and prepared, including our loss prevention plan. According to a recent survey, the holiday season generates 34 percent of annual sales for retailers but accounts for 37 percent of annual losses – representing a $6 billion problem for retailers during the holidays alone. Of those losses, the biggest source comes from shoplifters at 36.5 percent, according to the 2017 National Retail Security Survey, although employee theft is still a huge problem, particularly during this time. Another subtle change that has emerged over the past several years and continues to gain traction is the omni-channel approach to shopping. Most consumers will use a combination of online, mobile and in-store shopping on their path to holiday purchases. This means retailers not only need to secure their brick-and-mortar locations, but their digital assets as well. So what are the best holiday loss prevention tips during this critical time of the year? Let’s start with loss prevention technology. Some of the more effective loss prevention solutions encompass video, video analytics, cash control and POS exception monitoring systems. But these solutions only make a difference when they are working properly. Proactive and pre-scheduled inspections of all of your LP systems and components are essential. With the adoption of IP technology across the board, a camera could drop offline, and when you go to retrieve the video, you find it is not there. Cameras need to be checked for focus and angle, and the lenses need to be cleaned, particularly on outdoor units. Health checks on DVRs and NVRs can provide insight into hard drive performance and storage capacity. Deploying remote video monitoring applications can help to extend your LP resources. Outsourcing the monitoring of your security systems to a third party provider allows for alerts in real time of a potential failure or even anticipate a problem before it happens. It is also important to adjust your holiday open and close schedules to accommodate seasonal hours. Deploying an enterprise account management tool for your intrusion system can help you adjust your hours for individual locations or across your enterprise and receive alerts if something goes amiss. If your account management solution has a mobile component, you have the ability to always be connected and informed. Staying with the technology theme, the next area of focus should be protecting your digital assets. At a time when consumers are as likely to shop online as in-store, protecting your networks and websites are as important as protecting your brick-and-mortar locations. A 2016 survey by the National Retail Federation revealed a fifty-fifty split between online and in-store shopping this coming season, with many consumers planning on doing both. Updating your firewall or anti-virus software is critical in protecting your customer’s information along with critical POS data. If your software is more than a couple years old, or you do not routinely update it with the latest patches, it is probably not as secure as you think. Network security is also vital with the recent distributed denial of service (DDoS) attacks. Many of these attacks have been traced back to common “Internet of Things,” like IP cameras and peripherals such as printers. Many of these devices have limited or non-existent security measures on them. DDoS attacks typically target websites by inundating them with traffic from many different sources, causing them to fail crash. Given the number of consumers who plan to shop online this coming season, this could be devastating to a business. It’s no wonder cyber criminals target websites specifically to cause chaos on busy days. To combat this type of crime, consider resetting factory-issued passwords on peripherals and create new, stronger ones; use a managed or monitored cyber security solution if possible to alert you in real time if suspicious activity is detected; and use a strong firewall at the network level to guard devices that can’t run protective software from making unauthorized connections. While preparing for the holiday rush encompasses every aspect of your organization, we hope that these few simple reminders and suggestions give you pause for thought. This post was originally published in 2016 and was updated November 22, 2017.